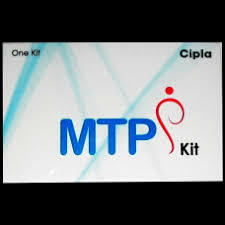 After you buy MTP Kit for your abortion in the first trimester you should know what is MTP Kit and how does this kit help to terminate your pregnancy. This kit has 2 essential abortion pills one is mifepristone and the other is misoprostol. Mifepristone is the anti-progestin that helps in removing the fetus from the uterus lining and the misoprostol pill that helps in diluting the uterus. Both Mifepristone and Misoprostol have a high efficacy of getting an abortion done which is almost 98%. Now we will talk about the dosage structure of the MTP Kit if you are 5 weeks pregnant or lesser. If you are 5 weeks pregnant you need to take one MTP Kit that is one pill of mifepristone which is of 200mg and 4 pills of misoprostol that is of 200 mcg each. You need to begin your first dose with mifepristone pill that needs to be taken orally with water. After you take this dose you will have to wait for 24 hours to take the next dose of Misoprostol. After 24 hours (you don’t have to take it exactly after 24 hours) you can take two pills misoprostol that needs to be taken under the tongue. Place these pills carefully under the tongue and make sure you do not vomit it or drink water immediately. You have to hold the pills in such a way so that it dissolve in the mouth for at least half an hour. After the pills have been dissolved completely in your saliva you can drink a glass of water so that you can ingest the remaining Misoprostol pill. After next 3 hours, you will have to take the remaining two Misoprostol pills that need to be taken in the same way. You can also put the pills in your cheek pouch if you feel this method to be easier but you have to allow it to stay in the mouth for minimum half an hour. 2 MTP Kits means 2 Mifepristone pills and 8 Misoprostol pills. The dosage pattern is a bit different, here you have to start with the first dosage of Mifepristone pills and then keep a gap of 4 hours and take the second pill of Mifepristone from the next kit. After taking the two pills you have to wait for 24 hours and then start with the dosage of Misoprostol pills. You will have to take 8 pills of Misoprostol that is total of 800 mcg doses. You can ingest 2 pills at a time or 4 pills at a time according to your convenience. If you are ingesting 2 pills at a time then you have to take the pills at a gap of 3 hours. If you are taking 4 pills at a time you can take a gap of 4- 5 hours. But you need to remember that you do not vomit out the pills. Try to take the pills under the tongue or in the cheek pouch and hold it well so that it can dissolve in your saliva and then after half an hour you can drink a glass of water. During the abortion procedure it is advised that you set an alarm according to the time you need to take the medicines so that you do not forget any dose. Always take light meal for the entire period of abortion. Get into the most comfortable clothing, and adjust yourself into the most comfortable place of the house where you can stay for long.